Here's a great gift-in-a-jar idea for fellow dog lovers! Layer the above ingredients in a one quart jar in the order listed, pressing each layer firmly before adding the next. Place a 2-piece lid on the jar. Place a circle of fabric over the lid. Secure with a piece of thin ribbon or raffia. Empty the mix into a bowl, and stir the ingredients together. Cut in 1/2 cup Crisco®. Mix in l large, lightly beaten egg + 3/4 cup hot water. Knead the dough for 5 minutes. Wrap in waxed paper and refrigerate for one half hour. 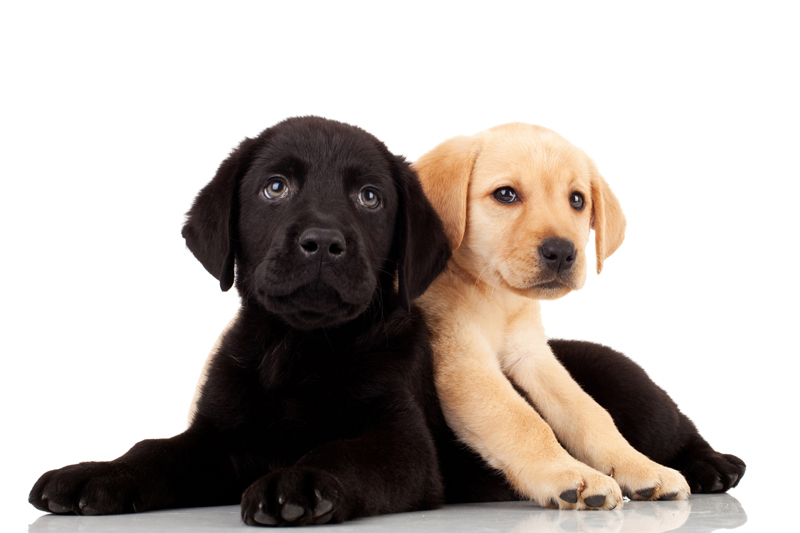 On a lightly floured surface, roll the dough 1/2" thick and cut into dog bone shapes. Place on a microwave-safe plate and microwave at 50% power for 5 minutes. Turn biscuits over and microwave at 50% power for 2 more minutes. Repeat with remaining dough. Place biscuits on wire racks to cool and harden for a few hours before storing in an airtight container. Place your cursor aside of the tag image. Left click on your mouse and drag the cursor across the tag to highlight the image. Release the mouse button and click on "file" on the taskbar. In the printer control box, click on "print selection". Click on "apply", then on "print"
You'll print just the jar tag... not the entire page. 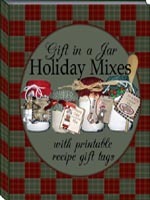 This collection of Gift in a Jar holiday favorites features a variety of simple to prepare recipes and country look recipe cards - ready to print and attach to the jars - No more typing or writing directions! Get 22 recipes in all, including recipes for Christmas Soup mix, brownie mix, muffin mixes, hot chocolate mixes, cookie recipes like Snickerdoodles, Sugar Cookies, Fruit & Oatmeal Cookies and more... all in a convenient, easy to use ebook. All the colorful, double fold cards and labels feature beautiful "Original Country Clipart by Lisa". This content was written by Sandy Moyer. If you wish to use this content in any manner, you need written permission. Contact Bettina Thomas-Smith for details.